In March 2015 Louis was appointed to the Sydney office to lead the Australia / New Zealand Region. The appointment follows a period of high growth by the airline in the Region and his major challenge is to maintain the established momentum in the face of constantly increasing competition and a diverse international travel market. 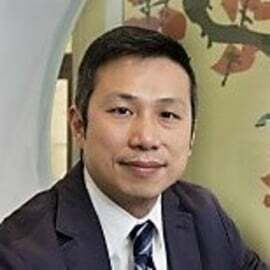 After graduating from University, Louis’ career with China Southern commenced in 1992 with the International Affairs Department and included liaison with Interline Agreements and airline cooperation worldwide. Louis completed a Bachelor’s Degree in Foreign Languages at the Civil Aviation University of China and his MBA at the University of Tun Abdu Razak in Kuala Lumpur in 2003. Station Manager in both Kuala Lumpur and then Singapore led to promotion to Country Manager Malaysia in 2005, in 2006 his leadership resulted in a route profitability turnaround for the first time in the country’s operation. Assigned in 2007 to Los Angeles as the Senior VP for the Americas, Louis expanded sales into 25 Central and South American countries and consolidated the daily operations between Guangzhou and Los Angeles by 2011, followed by the upgrading its capacity again by using A380 aircraft in 2012. Further expansion challenges for Louis resulted in the successful introduction of the new Boeing 777ER aircraft on the inaugural New York service in August 2014 and then San Francisco in December 2014. Through 2016, China Southern continues to grow as the largest operator between Australia and China with now a market share of more than 40%, is the largest of China’s airline operators. Expansion of frequency and identification of new destinations is a primary objective of Louis, having recently managed the opening of the new Adelaide operations to make a total of 5 Australia and 2 New Zealand ports. Now an operation of up to 81 flights in the peak week, Louis manages the efficiency of a national sales and marketing program, essential to underpin the growing economics and competitions.